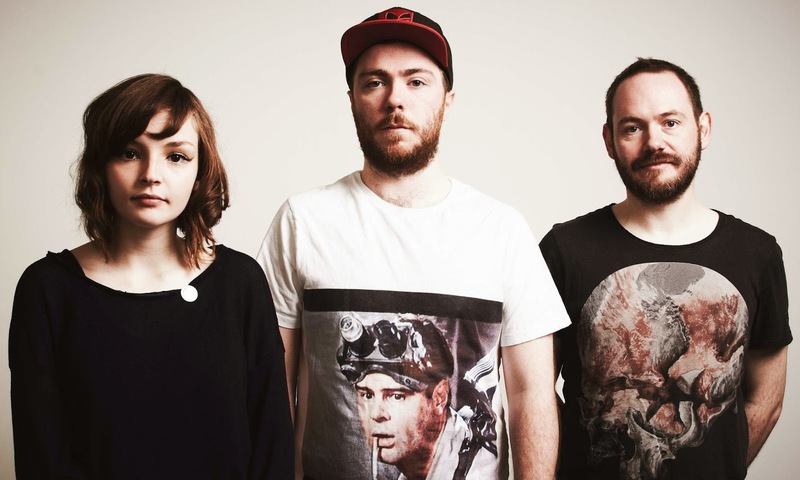 In 2011, the three members of CHVRCHES came together to create electro-pop music with lyrical depth. They decided to take a chance and release their music via the internet, nervous about the way it would be received. They quickly learned that there was no need for such nervousness because their new music was welcomed with warm acceptance. Hailing from Glasgow, Scotland, Lauren Mayberry, Iain Cook, and Martin Doherty have since released their first full album, The Bones of What You Believe. The group has traveled all around the world, sharing their music and working with other incredible artists. Lead singer, Lauren Mayberry, took some time to chat with The Triangle Beat about their first album, most memorable moments, and hopes for their future. The Triangle Beat: The group has hit recent popularity with some pretty passionate fans. How do you react to having such loyal fans suddenly? Does it ever get a bit overwhelming? LAUREN MAYBERRY: We have been very lucky to have had so much support from fans, especially online when we first became 'a real live band', rather than a writing project between the three of us in the studio. Most people are really respectful and polite, and it's cool to see that our band appeals to lots of different kinds of people and crowds are always varied, from middle-aged guys who loved synth pop the first time round to teenagers. TTB: You all have been touring around the world to plenty of different places. Would you say there is a difference between fans and their reactions in different parts of the world? LM: We have been lucky to play so many different places this early in our career, and it's great to see different places and make notes on where you'd like to go back to when you're not working... There are subtle differences between crowds depending on the culture but music is a thing that can often communicate regardless of the native tongue, I think. TTB: What changes have you had to make to your songs when preparing them for a live performance? We worked hard making sure that we could translate the studio sound live and now have a pretty solid rig and gear set up so we haven't changed the substance of the songs themselves. We try to make sure a live show is just that - live - and not a play back party where everything is just played off a laptop. We play as much as possible on the synths, bass and guitar, and then use Abelton Live for beats and samples. TTB: Is there one main songwriter for the group or is it all collaborative? Is there a particular process for writing? LM: The songwriting is a three-part collaboration. No one ever comes into the studio with a completed song; we write everything in the studio together. We'll usually start with a beat or a sample or a new sound and then get an instrumental sketch of the song, before adding a vocal melody and lyrics last. TTB: Who are the band’s strongest musical influences? LM: The Cure, Kate Bush, Depeche Mode, 1980s movie soundtracks and lots of stuff in between. TTB: You have played quite a few festivals at this point. Who are some of the bands that you have enjoyed watching perform? LM: It's been great to see bands we love playing at festivals when we get a chance to. Arcade Fire at Coachella was a highlight, as was St Vincent and David Byrne when we saw them last year. TTB: How did you come up with the name CHVRCHES? LM: The 'V' is actually a Roman 'U', and it's based on the logo design that our friend Amy Burrows made for us when we first started the band. Amy does the designs for all our LP and single covers, as well as the band merch too. TTB: What can we expect next from CHVRCHES? 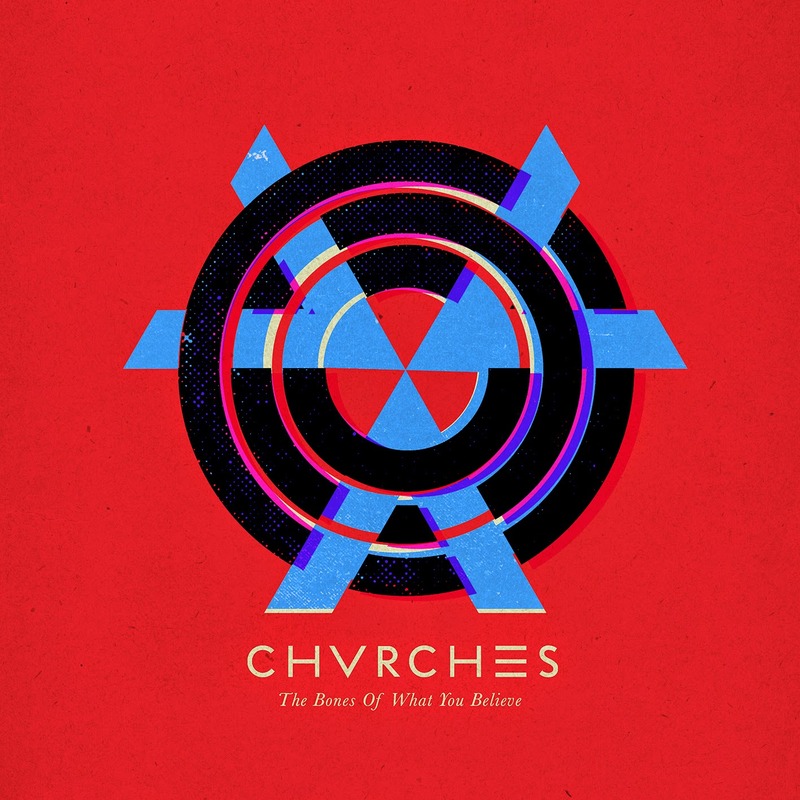 The Bones of What You Believe is now on sale, visit the CHVRCHES' website for more information about the band and to see their full tour list. CHVRCHES will be playing a sold-out show at The Ritz on Monday, April 28, with support from The Range. Doors open at 7, the show starts at 8. It'll be a great start to the week!